I am writing regarding the National Rifle Association’s position on several firearms-related proposals under consideration in the Senate. S. 649, the “Safe Communities, Safe Schools Act of 2013”, introduced on March 21, contains a number of provisions that would unfairly infringe upon the Second Amendment rights of law-abiding gun owners. This legislation would criminalize the private transfer of firearms by honest citizens, requiring friends, neighbors and many family members to get government permission to exercise a fundamental right or face prosecution. The NRA is unequivocally opposed to S. 649. 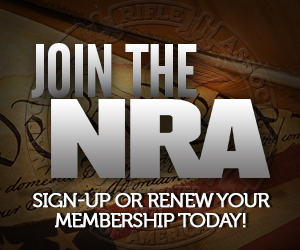 In addition, the NRA will oppose any amendments offered to S. 649 that restrict fundamental Second Amendment freedoms; including, but not limited to, proposals that would ban commonly and lawfully owned firearms and magazines or criminalize the private transfer of firearms through an expansion of background checks. This includes the misguided “compromise” proposal drafted by Senators Joe Manchin, Pat Toomey and Chuck Schumer. As we have noted previously, expanding background checks, at gun shows or elsewhere, will not reduce violent crime or keep our kids safe in their schools. Given the importance of these issues, votes on all anti-gun amendments or proposals will be considered in NRA’s future candidate evaluations. Rather than focus its efforts on restricting the rights of America’s 100 million law-abiding gun owners, there are things Congress can do to fix our broken mental health system; increase prosecutions of violent criminals; and make our schools safer. During consideration of S. 649, should one or more amendments be offered that adequately address these important issues while protecting the fundamental rights of law-abiding gun owners, the NRA will offer our enthusiastic support and consider those votes in our future candidate evaluations as well. Should you have any questions on these issues, please do not hesitate to contact me at (202) 651-2560. Which mentions that the drafters of this compromise bill were Toomey, Manchin and Schumer. Tomorrow it would appear to be game on, and we’ll see where the chips will fall. My next phone call tomorrow to Toomey’s office will outline that he had a golden opportunity to let the bill die or at the very least load it with something actually beneficial like national CCW reciprocity. Instead he chose to bend to Schumer’s EVERY demand. Therefore, he’s blowing his chances of re-election for me unless he either scraps the “deal” or offers something of real interest to gun owners rather than existing law-rewrites and things that are already enforced. Anything else gunnies should be mentioning? Apparently he did and it got written out. I know that. Hence my remark about letting Schumer write it out. If this gets through I hope the House adds on some NFA-repeal stuff and nationwide CWP reciprocity or “teeth” for FOPA. Nationwide CWP reciprocity helps but not necessarily in extreme jurisdictions that will still arrest anyone with a gun and sort it out later.